If I can take a moment to be transparent with you, I can tell you that this blog post was very difficult to write. It wasn’t difficult to write because of uncertainty or lack of understanding. It was difficult to write because during the last several weeks I have found myself in that place of “in-between.” It’s that place on the road to destiny that lies somewhere between I can clearly articulate my purpose and I have experienced some measure of success and the place where I can’t reach the required next steps for business growth and the demands of business ownership feel heavy. It’s the place where I realize it’s time to move out of my comfort zone and transition to something bigger. Although the times of transition and the seasons of “in-between” can be the source of notable discomfort and growing pains, I have discovered those times are ripe with opportunities for advancement and clarity. It is during the unsettling times of transition I come face to face with the “why” of the work I do rather than the “what” I do. While there isn’t a “one-size-fits-all” template to defining your why or discovering your purpose, the process is much simpler than we think. In the past, when I thought about purpose, I often felt overwhelmed. The mere thought of articulating my purpose felt intimidating and mysterious and for many years, I settled for a life and business filled with busyness, but void of depth and meaning. I knew there was more to life, so I decided to lean into the difficult places and begin the search within. Over the next several months, I will share some of the highlights of my discovery through the transition of my cookie company, Favorable Treats. As I continue to strive for alignment between what I do and why I am driven to do it, I have to be comfortable with making necessary changes. My company, Favorable Treats will soon have a new name, a new website, and a clearly defined purpose. While these changes were difficult, the reality of connecting to something bigger and making an impact is life changing and meaningful. I would love to hear from you. 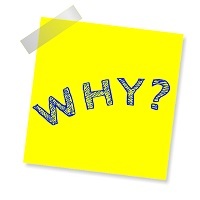 How does your “what I do” align with your “why?” Please send me an email or connect with me on social media. I’m looking forward to continuing the conversation.